All in one newly released, discounted ebook bundle! InterstellarNet: Origins. When the first call from the stars comes, do we even dare to answer? 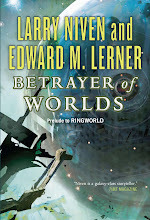 "A wonderfully thought-provoking story ... Lerner's world-building and extrapolating are top notch. InterstellarNet: New Order. In which humanity discovers that meeting aliens face to face is very different -- and a lot more dangerous -- than sending and receiving messages. "... A twisted plot complete with conspiracies, alien psychology, antimatter physics neep, AI spies, and plenty of shooting action at the end." "An exceptional book in an excellent series .... 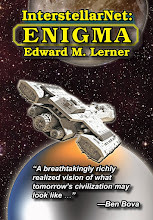 If you enjoy a good story on a large scale told by sympathetic characters, read Interstellar Net: Enigma. If you enjoy space opera, space combat, and unlikely heroes saving the earth, you will enjoy this book. If you enjoy mysteries, the futuristic elements will not detract. This is one of the few novels that combine an action mystery with a sweeping science fiction and excels at being both." And winner of the inaugural Canopus Award "honoring excellence in interstellar writing." 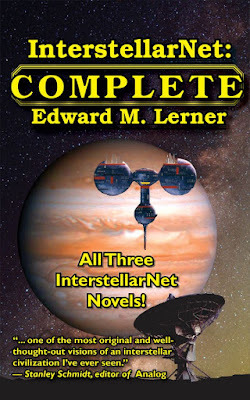 "Edward M. Lerner’s InterstellarNet is one of the most original and well-thought-out visions of an interstellar civilization I've ever seen." As I type, InterstellarNet Complete for the Kindle -- that is, the entire trilogy -- is available from Amazon and in other popular formats for only $9.99. Check your favorite ebook retailer.